Home › Canvas › Adding Requirements & Prerequisites in your Canvas modules. 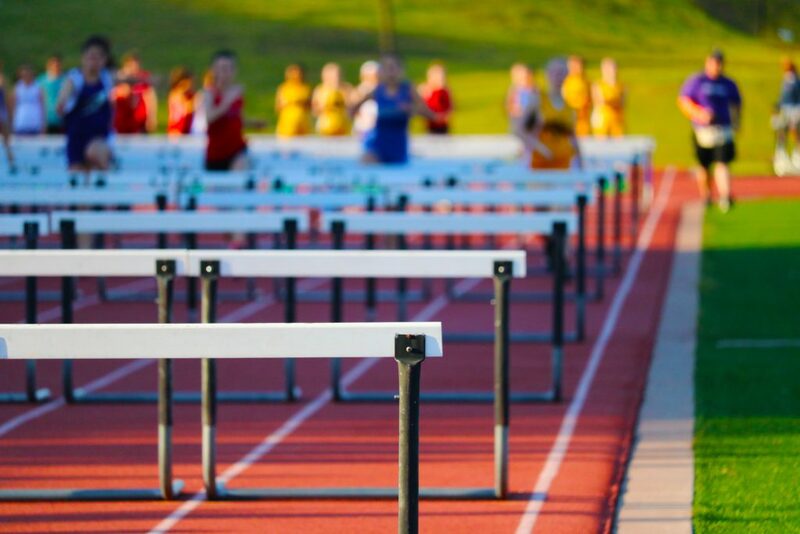 Adding Requirements & Prerequisites in your Canvas modules. Tutors can develop their use of the Units area in a Canvas module by making use of the Requirements and Prerequisites tools. These tools allow you to further guide your students through your module, directing them through the resources and requiring them to complete certain elements. Requirements are a series of actions that you require your students to carry out before they ‘Complete’ that section of content. This is set up in the Units area of your site. Your requirements for each Unit can include one or more of the above requirements. As well as allowing you to guide your students through your module content, these requirements will also help students to manage their studies and track their progress throughout a module. Step 1: Go to Units and click the three vertical dots icon to the right of your Unit. Step 2: Click the Edit option in the menu that appears. Step 3: Click +Add requirement and define your requirements (see How do I add requirements to a module? for more explanation of the different requirement options). Adding activities, such as Quizzes, will add more requirements options. Repeat this step to add multiple requirements. Step 4: Click Update unit. Prerequisites take this a step further by stopping students from viewing a Unit until they have completed the requirements of the previous Unit. This allows you to lock content until certain actions have been completed. This could help to encourage students to engage with activities and content, highlighting activities that are particularly important or will feed into students’ studies later on in the module or are required for in-class activities. Step 1: Go to Units and click +Unit (or click the three vertical dots icon next to an existing Unit). Step 2: Give your new Unit a name and then click +Add prerequisite. Step 3: In the dropdown menu that appears, select one of your other Units (it is only possible to set prerequisite Units that come before a specific Unit). Step 4: Click Add unit (or Update unit if you are editing an existing Unit). 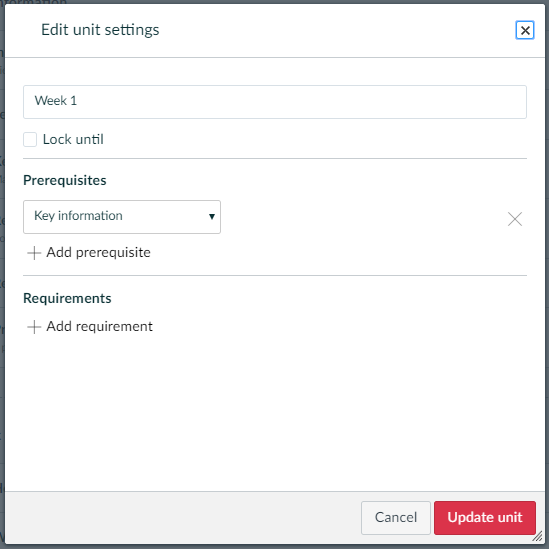 Adding requirements and prerequisites to the Units within your Canvas module sites has benefits to both you and your students. It allows you to encourage students to engage with required activities, stopping them from progressing until they have done so, whilst also enabling students to manage their studies by tracking their progress and easily picking up where they have left off. Setting up your requirements and prerequisites for each week before the start of term could also save you time later on as you will not have to publish content weekly, instead it is students’ progress that releases weekly content. If you have any questions about using these tools in your teaching or any other features of Canvas that you would like to explore contact tel@sussex.ac.uk.